Bhubaneswar: A delegation of United States India Education Foundation visited KIIT & KISS on Wednesday. 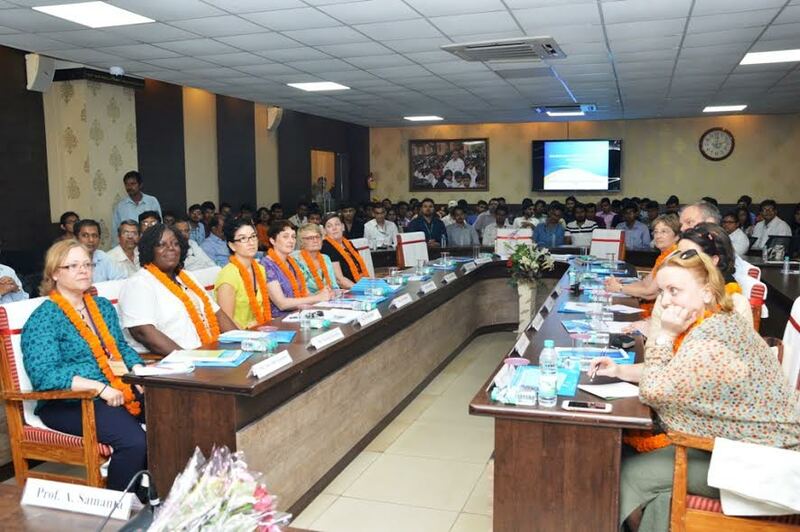 Representatives from 21 Universities of United States visited various departments of KISS and campuses of KIIT. They interacted with students of KISS about various avenues of Higher education. They also discussed with Prof. P. P. Mathur, VC, and Dr. Sasmitarani Samant, Registrar, KIIT University regarding student – faculty exchange programme and joint research programme between KIIT and the Universities of Unites States. They also met Dr. Achyuta Samanta, Founder, KIIT & KISS and discussed with him about KIIT & KISS. The team highly appreciated the teaching learning system of KISS & KIIT. Many Universities also show their interest for student-faculty exchange and joint research programme.